It's March Madness time! Which means brackets. Brackets. They're very fun! But a lot of work. Unless you enslave a basketball-tracking robot on the internet to keep track of them for you. To make the process as simple as possible, here's our ranking of the best online March Madness brackets. FOX is pretty well-organized once you get where you're going, but it's confusing that you only get the option to make a group for your friends after registering for an entry. If you have your fantasy leagues and friends already on FOX, the transition should be pretty painless, but you probably don't. The biggest drawback, though, is that Fox makes you click through pages for each region, and then the successive rounds after that. No full bracket view? Nooooo thank you. ESPN's bracket interface is probably the cleanest looking of the bunch, but the site's infrastructure is the pits. In order to play against your friends, you've got to authorize the ESPN app for Facebook, which, like, what? The brackets themselves are very pretty, but this is probably best left to folks who eat and breathe and poop more sports than you care to deal with in a lifetime. This one's a little surprising. NBC's not really known for being all that, er, together. But its tournament site is the only one we came across that lets you fill out your bracket before even logging in or signing up for anything. Once you do create an account or ID, you land at a page with simple instructions for creating or joining a group, and inviting people to play with you. It doesn't have some of the more minute customization options of the other bracket providers, like customized scores and bonuses, but it's a freaking college basketball bracket. You don't need a ton of rules. Yahoo is ugly. It has always been ugly, but at least in the online sports world, it's made up for that by making itself dead simple to use. If you're willing to overlook that, the interface is office-folk friendly; besides, there's a pretty darn good chance that everyone in sales has a Yahoo account already. 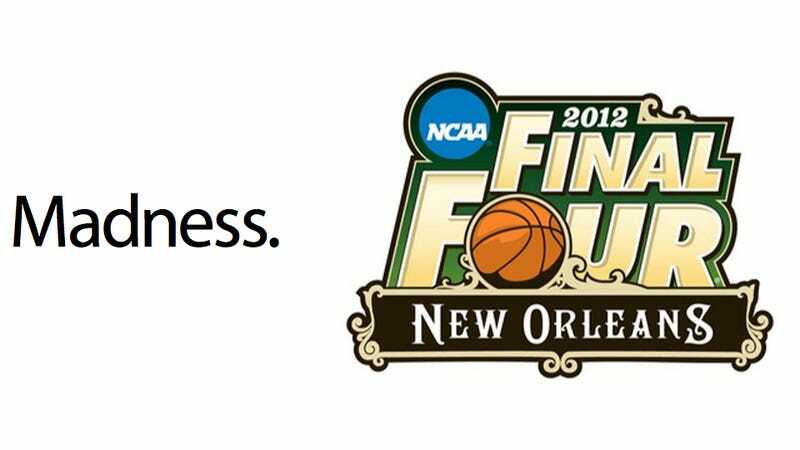 CBS televises the bulk of the tournament every year, including the Final Four and championship game. So it damn sure better have its bracket game down pat. And it does! CBS has the most inclusive list of ways to invite your friends to join your illegal gambling group, and starting this year it's got its own app on iOS and Android too. It also helps that you're only one click away from a sensible and nice-looking landing page that walks you through what to do to get started. The Sportsbook bracket comes highly recommended, but there's a catch: you've got to supply a credit card number to play. That's probably enough to scare (or frustrate) off a good number of your participants. The NCAA also has its own bracketing site, but—and I know, this is hard to believe—it's a mess. Easily the most difficult to navigate, and one of the more convoluted to manage once your bracket is in.